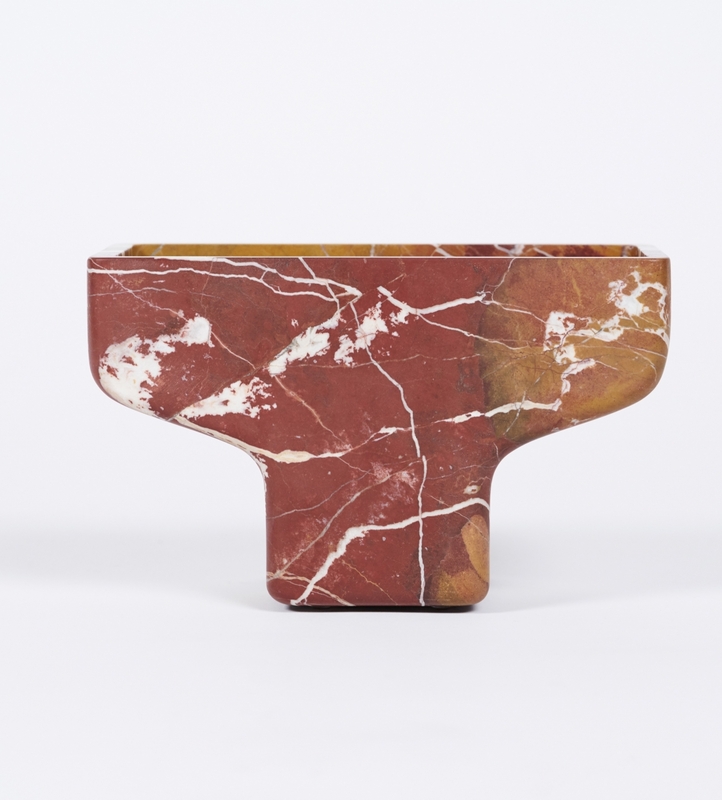 In January Maison Gerard will exhibit a new collection of pieces from long-time partner, visionary decorator, and designer Stéphane Parmentier. 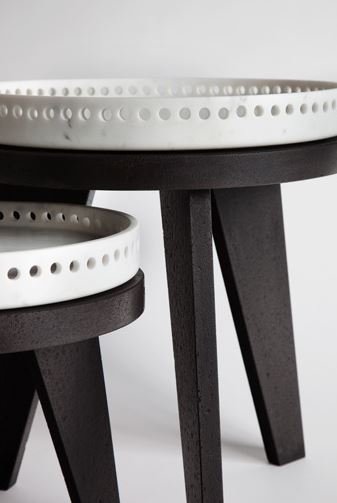 Parmentier, who has done several lines of side tables for the gallery in the past, has recast his already pared down look to create a brand new series of dignified pieces. In Collection Mercury, Stéphane Parmentier unites his streamlined aesthetic with his love of natural materials and ties it all together with his passion for understated, complex detail. This collection includes a set of tables, a pair of chandeliers, a more than utilitarian set of Vide Poches, and, of all things, a perfectly proportioned lazy Susan. Drawing on sources of lifelong passion and inspiration, in particular air travel and the monolith (from Kubrick’s 2001: A Space Odyssey, which he has before credited as “the basis for everything I do,”), the artist conveys an unlikely pairing of strength and elegance in a way that springs the individual pieces of furniture from their purely utilitarian roots and demands their reception as articles of rare and unrivaled beauty. 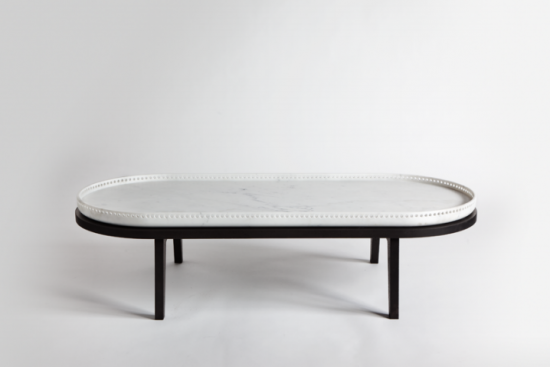 The cocktail table, with its polished lava stone base and sleek marble table top, is perhaps the jewel of the collection, and clearly distinguishes Parmentier as a designer worth looking at. The piece elicits a potent visual dialogue between the strength of its medium and the elegance of its form—one which evokes all that is most enchanting about air travel and the city of Rome itself. The table also shows that with Parmentier the devil is in the detail. 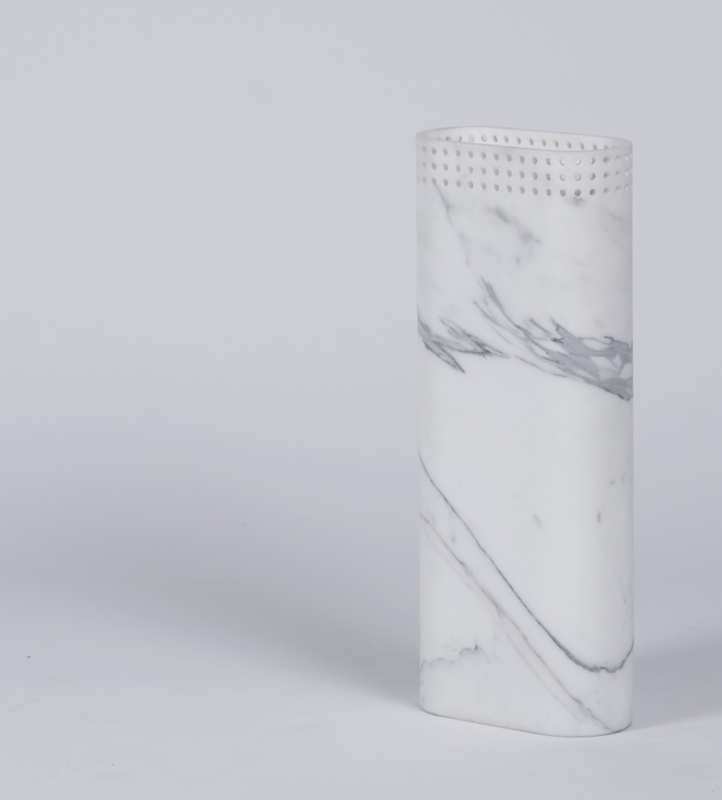 The perforations that adorn the piece with its stately halo—details without which the piece could hardly be the same—number 400 and take several minutes each to create. 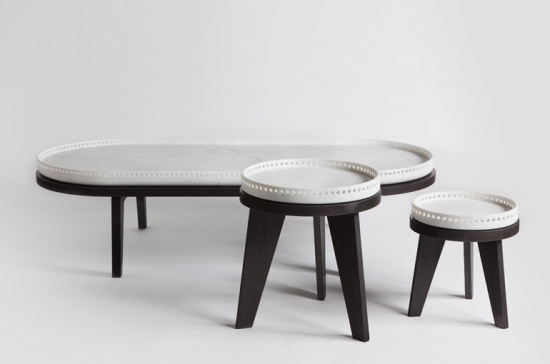 Two smaller, round versions of the cocktail table (called Malpensa and the Fiumicino) are united by the same thread of air travel, and can accompany the cocktail table in any room, either beside a chair or in a staggered pairing. 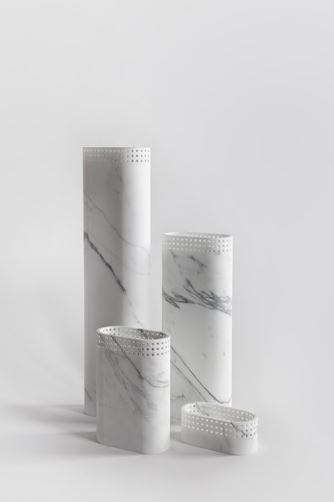 Gattaca is a set of four pieces, each carved from a single slab of statuary marble and crowned with the artist’s signature ornamental touch—as with the tables, an understated yet painstakingly complex series of perforations about the rim. 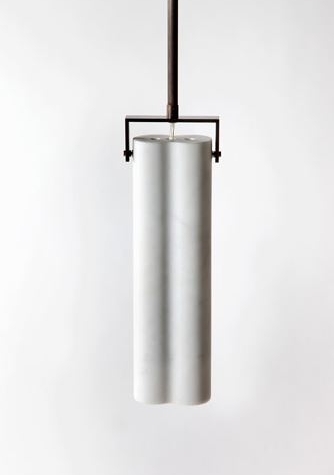 With these pieces Stéphane Parmentier liberates the banal vide poche from its strictly utilitarian role and endows it with the aesthetic weight of the monolith. Available in four sizes, Gattaca is extraordinarily versatile: the pieces can stand alone, accompany a settee, or add elegance to an occasional table. A fifth vide poche compliments the Gattaca sequence. 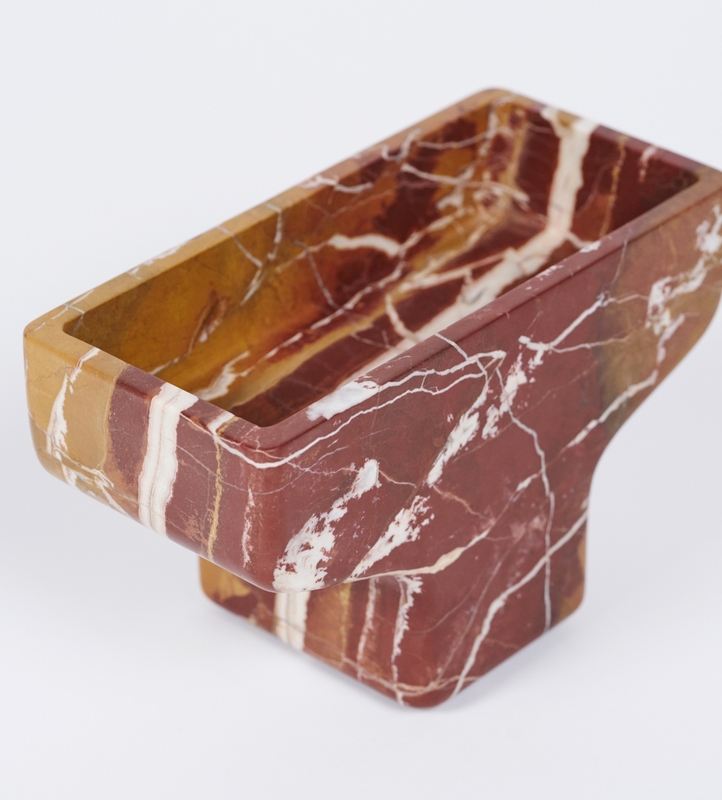 While Korova, a desk piece like the smallest of the Gattaca series, is made of marble and has the same visual weight, it also possesses flourishes in pattern, shape and color that the Gattaca pieces lack. The supple marble shade of Arlanda emits a soft warm light as from nowhere—seeming, as it does, to be held in place by nothing at all. 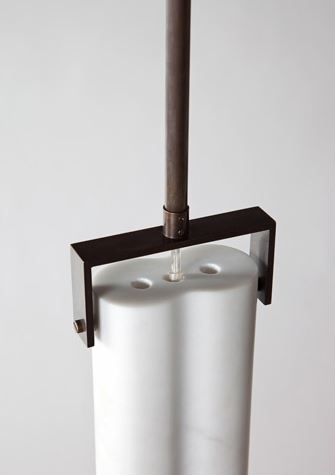 Unlike perhaps, the rest of Collection Mercury, it is abundantly clear from the start that these graceful fixtures were inspired by air travel. Named for the Swedish airport, they combine the aesthetic elements of a sleek, pared down design history with an engineer’s attention to detail and the strength and power associated with of airplanes and flight. O’clock possesses an elegance characteristic of the rest of Collection Mercury. 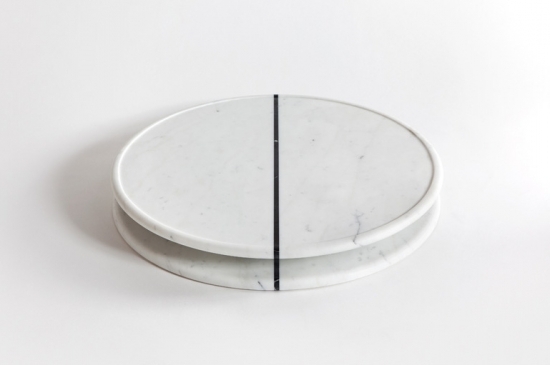 And, as with his vide poches, Stéphane Parmentier has given an everyday, banal object a monumental treatment: He has turned a lazy Susan into an exquisite work of art, invoking time with his title, use of marble, and an obvious parallel in form. 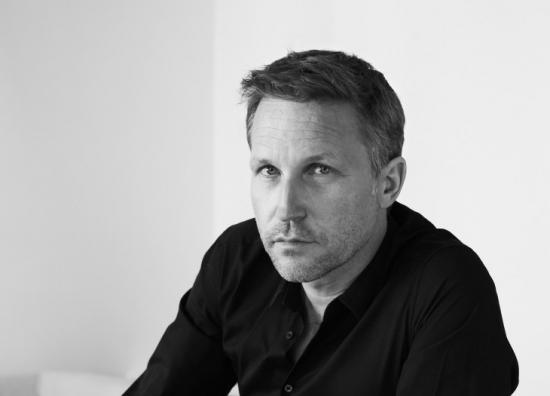 Stéphane Parmentier worked in fashion for 17 years (at Karl Lagerfeld, Givenchy, and Claude Montana) before jumping headfirst into interior design with the launch of his own firm in 2003. 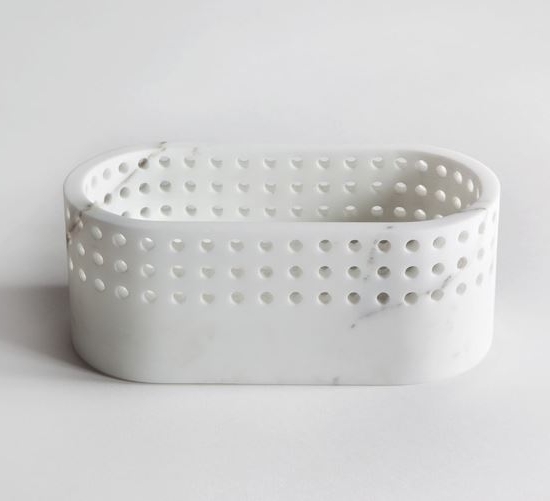 By 2005 Parmentier had ventured into design with a collection of trays, cutting boards for Tools Galerie in Paris—and the rest is history. In 2010 Stéphane achieved great success with his collection of stools, tables, consoles and modular elements, which took home Wallpaper’s “Best Launch” design award. Since he has designed for Hermes and CTO Lighting, worked as the “Interior & Design Editor” of Le Printemps de la Maison, and collaborated with Maison Christolfle. 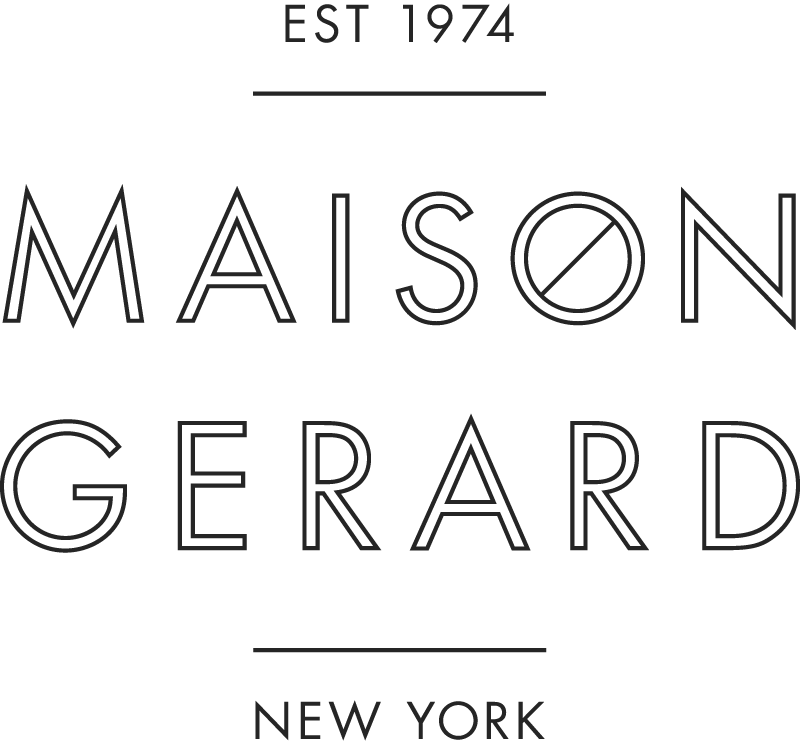 Stéphane Parmentier is represented in America by Maison Gerard.